Kasey Hone Suicide Memorial - Suicide.org! Kasey Hone Suicide Memorial - Suicide.org! Kasey Hone Suicide Memorial - Suicide.org! That's what the note read. But it was not just a note, it was a work of art, complete with computer graphics of cute little puppies. That precious note was made by Kasey Hone. Kasey placed the note on his parent's pillows to try to persuade them to get a dog. The clever strategy worked (of course, who could resist! ), and a wonderful cocker spaniel named Angie was brought into the Hone household. Kasey and Angie became great buddies and had a lot of fun together. But things were not as fun at school. Indeed, school was turning out to be a pretty miserable experience for Kasey. He was being bullied by a cowardly classmate. Kasey's school performance started to deteriorate, and he clearly was not as happy as he used to be, but he kept many of his feelings hidden. Kasey had difficulty coping with the situation and did not know what to do. The incessant bullying caused Kasey to become depressed, but Kasey continued to try to hide the powerful emotions that he was dealing with, and he talked to everyone around him as if everything was okay. But everything was not okay. 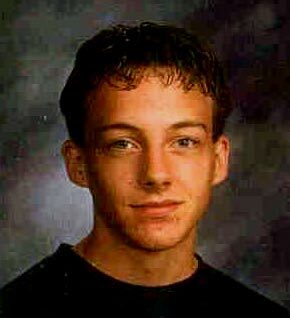 On May 15, 2001, sixteen-year-old Kasey shot himself in the head. Kasey was a wonderful person. He was a smart, caring, talented, and handsome young man. He was active in his church. He was highly skilled with his computer and could produce spectacular graphic art. He enjoyed scouting and motocross riding. And he was an honor student at his high school. This is a poem that Kasey wrote when he was 11. I am kind and friendly. I wonder how you dream. I hear someone in pain. I worry when we will have a war. I cry when someone dies. You are kind and friendly Kasey.